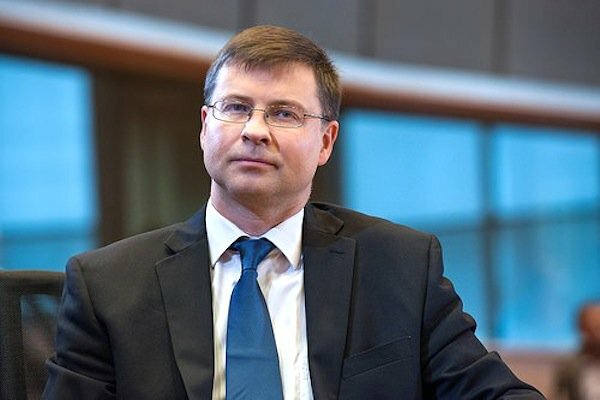 “It is time to proceed with the disbursement of the next loan tranche to Greece,” the European Commission vice president Valdis Dombrovskis said on Thursday. Asked on the implementation of the prior actions, he said that it is satisfactory adding that Greece has met all its commitments both at fiscal and reform level. “We believe that it is the time to proceed to the disbursement of the next loan tranche,” he said and added that uncertainty has already had negative impact on the Greek economy. Regarding the debt relief measures, he said that discussions continue and it is the creditors’ decision (referring to the member states and not the Commission.) It is important to conclude the second programme review and proceed to the disbursement of the next loan tranche in order to show that the Greek programme is well on track and the Greek economy is recovering, he stated.